“I’d like to think the airport is reflective of the change happening in the city,” he says from the airport authority’s boardroom overlooking the tarmac. Sustainability is a big part of that progress. Take the airfield, which will soon be modernized to current safety and efficiency standards. The rehabilitated runway will be narrower, reducing the equipment, fuel and chemicals needed to maintain it, especially in winter. LED lighting will replace old incandescent bulbs, while the addition of centre-line lighting – LED, of course – will make for greater visibility, which means fewer cancelled or diverted flights. Air travel’s carbon footprint is substantial, so every successful arrival counts. “It is all related to fuel and emissions,” Stanford says. Sustainability is a big issue for airports. At a conference in Ottawa recently, Stanford attended a session about Airport Carbon Accreditation, an international program whose member airports commit to reducing carbon emissions. Stanford says it’s something YSJ will look into. “We’re already meeting many of the criteria,” he says. 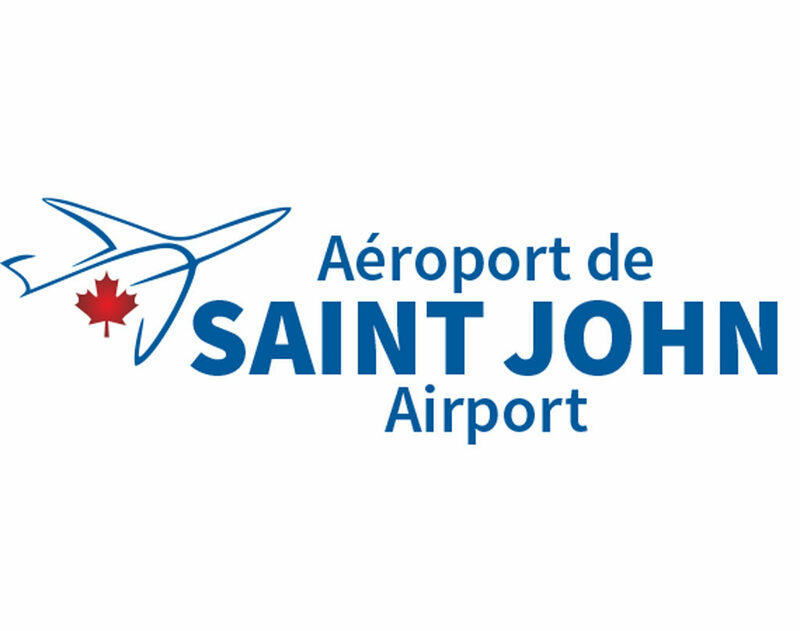 While the $20.4 million airfield upgrades are significant, YSJ has long looked to save energy and resources in ways big and small. “We’re the only airport in New Brunswick with an EV charging station,” Stanford says. While electric vehicles are still rare, demand will only grow. “It’s more about being ready,” says Brian Wiggins, director of engineering, facilities and capital projects. YSJ uses green cleaning supplies, has efficient heating and ventilation systems, and uses eco-friendly water-based paint for its runway lines. It is in talks with Air Canada to centralize de-icing and reduce glycol waste. “We’re also pretty proud we’re on the city bus route, on public transit,” Stanford says. YSJ’s water and sewage is currently under review. It runs its own system, drawing water from the same source as the city, which requires a lot of wasteful chlorine and pumping. It has drilled test wells to assess water capacity and quality. And, as part of upgrades to its long-term parking, YSJ will plant rain gardens to solve its drainage challenges.